Jing MEN is Director of the EU-China Research Centre. Areas of expertise: EU-China strategy partnership, political relations, security relations, climate change, public diplomacy, human rights dialogue. Duncan FREEMAN is Research Fellow at the EU-China Research Centre. Areas of expertise: EU-China economic relations, China’s renewable energy sector and energy policy and the economic transformation and policy development of China, especially in the area of outward investment. The EU-China Research Centre collaborates with a number of research affiliates who are known experts in the field of EU-China relations. 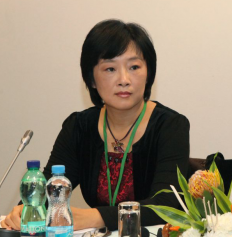 Haiyan ZHANG is Associate Professor at NEOMA Business School and Director of NEOMA Confucius Institute for Business in Rouen, France. He is also Associate Professor at the University of Antwerp, Belgium. Haiyan ZHANG holds a PhD in Development Policy and Management as well as an MA in Public Administration and Management from the University of Antwerp and a diploma from Shanghai International Studies University, China. Areas of expertise: international business activities of Chinese and overseas Chinese owned enterprises, Chinese outward foreign direct investment in Europe, EU-China negotiations on an investment agreement, management issues of international joint ventures in transition economies, high-tech industrial agglomerations in China. Reuben WONG is Director of Studies at the “College of Alice and Peter Tan” (CAPT) and Jean Monnet Chair at the National University of Singapore (NUS). He is also Associate Professor in the Political Science Department at NUS. Professor Wong earned an M.Phil in European Politics at Oxford University and a Ph.D. in International Relations at the London School of Economics and Political Science (LSE). A former diplomat, he served as First Secretary in the Singapore Embassy in Paris (1995-1998). Areas of expertise: EU-China relations, EU-Asia relations, EU and French foreign policy, identity in foreign policy, the politics of disablement and human rights. Anna STAHL is former Research Fellow at the EU-China Research Centre (2014-2016). Areas of expertise: European foreign and security policy, EU-Asia and EU-Africa relations, multipolarity, emerging economies, EU Strategic Partnerships, Chinese foreign policy, China-Africa relations, international development cooperation (e.g. South-South and Triangular Cooperation), regional organisations (e.g. AU and ASEAN).